The new year is full of amazing events in Sonoma Valley! This coming January is packed to the brim with events for anyone and everyone- from kids to foodies to wine-o's alike. The new year has everyone in the valley inspired and welcoming back tourists and locals to the area! Check out our calendar for a full list of events this January. We've compiled a handful of our favorite events across Sonoma Valley this January for you here! Sonoma Valley has partnered with Visit California for the month of January to celebrate all things epicurean. 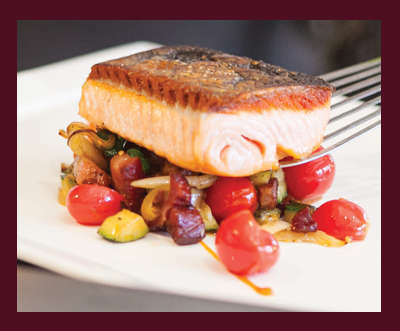 Guests will enjoy special offers, including prix fixe menus, special food & wine pairings, signature dishes and cocktails, and more at restaurants, tasting rooms, and wineries! Click here to see a full list of offers and special deals! 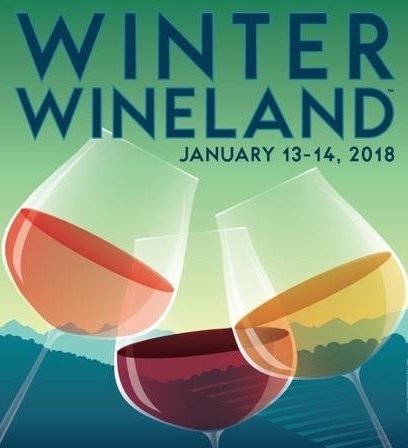 Celebrate the 26th Annual Winter WINEland for two glorious days along Wine Road – Northern Sonoma County. The perfect winter escape…taste current vintages, multiple varietals grown in Sonoma County, and even try a few verticals! A great opportunity to meet winemakers, taste limited production wines, new releases or library wines. All participating wineries will highlight a Vintage, Varietal or Vertical tasting for the weekend. Join Saddles at MacArthur Place on Friday, January 19th, 2018 from 5 pm to 7 pm for the 17th annual Martini Madness. Local restaurants and bars compete for the most creative and delicious martinis while Saddles Steakhouse serves a bountiful selection of hors d'oeuvres and small bites. Attendees will vote for their favorite martinis in variety of categories including the Best Martini in Sonoma 2018! Proud to welcome Barcardi USA as the official sponsor! As the holidays are upon us and we look forward to the New Year, Tesoro Flowers would like to invite you to usher in the scent of Spring while staying true to the Winter season with our Winter Whites Workshop on Sunday, January 21 from 2:00-3:30. Join us for our first in the 2018 series of workshops. You will learn and create a stunning bouquet to take home of fresh fragrant white blooms like hyacinth and narcissus paired with luscious greens and greys of the season. $125 per participant will include everything--the flowers, containers, tool usage, instruction, delectable treats, and complimentary local wines for our guests over 21. You can also enjoy 20% off anything in the shop on the day of the event. Tips and tricks of the floral trade will be discussed. Come learn, create, and say ‘hello’ to the New Year in a fun and relaxing environment! Space is LIMITED. Advanced reservations and payment required. Call the studio soon to reserve your spot! (707) 939-6931. The workshop will take place at Tesoro Flowers at Cornerstone Sonoma in Sonoma, CA. Click here to purchase. The Tides in Bodega Bay is happy to announce its 33rd Annual Winemaker Series! On January 12, the new series opens with Winemaker Craig McAllister of La Crema Winery serving Chardonnays and Pinot Noirs. Originally from New Zealand, Craig believes that the best wines are those shared with family and friends over a delicious meal, so join him as he pairs La Crema fine wines with authentic Italian dining beginning with a Dungeness Crab Salad, courses of Gnocchi with Pt Reyes Blue Cheese, the finest Filet Mignon, finishing with a chocolate dessert with cherries on top. Click here for more info!